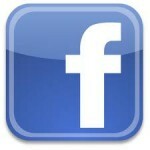 Linkedin’s Pet Online Marketing Group started a discussion(join the group to see the full discussion) about members’ Facebook pages which as of December 31, 2010 had generated over 170 responses. I spent some time reviewing the sites posted in the last couple months and wanted to post some general observations. My impression was that the Page vs Group decision favored pages, but there were a few businesses that had a group page and one that was using a personal page (named after the business). The best pages include customized FBML pages that hardly look like Facebook at all, frequent posts with relevant, engaging content that spawn discussions among their fans. The weakest pages were those whose information tab consists of a single link to their business site, and who rarely post anything to the business wall and have several blank tabs. The array of businesses represented by people commenting on that Linkedin discussion was quite wide including pet products, pet services, books about animals, marketing services, retailers, media, art, shelters, clothing (for pets and people), and of course the leading MLM pet product, Life’s Abundance pet food. I know that a number of national and franchised pet businesses have Facebook pages as well, so I think this mix reflects the membership of the Linkedin group, not all Facebook pet-related pages. Facebook is becoming an ever more popular and effective marketing tool. In closing I’d urge all pet marketers to use it, but make an effort to fully populate your page, remove any tabs you don’t use, and commit to regularly updating the Wall content as a bare minimum. The more web-savvy may want to explore customizing their page with FBML Another point to remember is that fan pages with 25 or more fans can create a custom URL in the form of www.facebook.com/fanpage which is easier for visitors to find than the default URL that includes this info plus a numeric string. Brandweek featured an article discussing Iam’s integrated campaign for its ProActive pet foods containing prebiotics. The food has specific ingredients that stimulate the growth of beneficial bacteria in the gut, and should be distinguished from probiotic compounds like yogurt which contain beneficial bacteria, which would not live through the processing required to manufacture dry dog food. Iams enlisted two spokes animals, one canine, one feline to promote their prebiotic foods. The dog, a Bulldog named Munch, has a Facebook page which has attracted over 1200 fans. All of the ProActive health products carry a distinctive swirled symbol on the packaging, which is carried over into point of purchase and print displays. ProActive’s marketing uses he theme line “I am beautiful inside” which was used across online, point of purchase, and television advertising. These products show the increasing interest in nutraceuticals in human nutrition, which has spilled over into the nutritional interests for our pets. I found the Iams website very carefully worded in its description of the benefits of these products, avoiding any outright health claims. I’ve seen dog sport drinks, dog beer, and now I’ve discovered a bottled spring water marketed especially for dogs. 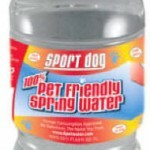 Sport Dog water, which launched in 2007 is available for order online through the Thirstmonger site and also has distribution in the Eastern US through Royal Pet Supplies. This bottled spring water meets all FDA regulations for human consumption, so owners can share a swig with their pet. At $7.99 for 24 half liter bottles pricing is in line with the retail prices of name brand bottled waters, but well above the weekly specials on water at my local Kroger store, especially if you add in (for my location) $7.95 to ship it to Michigan. A bit of a silly product, in my opinion, but a healthy choice for dogs – and their owners. DMNews reported on Petco‘s use of email marketing, including the recent addition of content promoting organic pet foods. These emails are supported by in-store seminars about organic foods as well as the Petco-sponsored Facebook page, Generation Natural Pet. 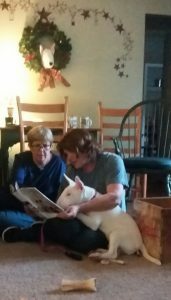 The article goes on to describe more details of the Petco e-communications strategy including species targeting, pet birthday greetings, and product reviews. As premium dog food brands which claim to use higher quality and more appealing ingredients grow in market share, some traditional market leaders are pushing back in court. Hill’s Pet Nutrition, which produces Science Diet brand pet foods, has been aggressively pursuing manufacturers which it feels have used deceptive advertising for their products. Blue Buffalo is their most recent target; Hills objected to their use of the phrase “Contains no by-products” when promoting Blue Buffalo products which contain fish meal, lamb meal, and liver. Hills claims that guidelines for the meal ingredients do allow parts of the fish and sheep in the meal that most consumers would consider by-products; they also consider liver a by-product. Based on the NAD’s ruling Blue Buffalo altered its advertising and web site (note carefully worded promises in sidebar) to conform to Hill’s demands, but has not altered its packaging, claiming the agency to which Hills complained, the National Advertising Division (NAD) did not have jurisdiction over packaging claims. Blue Buffalo has said it intends to appeal this decision which was announced in May, 2009. Pet food nutrition standards and labeling requirements were developed well before the current surge in interest in “human grade”, “organic”, and “natural” foods. As a matter of fact, none of these terms has a regulated meaning for pet foods so manufacturers can use them at will, with consumers having to decide for themselves whether the description is accurate. Petfood Industry reports that Nutro has partnered with Meetup.com to sponsor 60 Meetup groups. 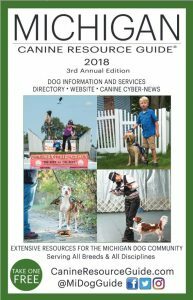 The sponsored groups include a variety of existing dog Meetup groups across across North America, including specific breed groups, rescue groups and the Denver Yappy Hour all-dogs social group. Nutro is hosting a kick-off Meetup on September 16, in New York City which features an appearance by celebrity veterinarian Dr Marty Becker. It’s not clear how the groups were selected for this promotion, although I do see that groups can signify that they are seeking sponsors and Meetup will facilitate the process for sponsors wishing to sponsor 50 or more Meetup groups. On the promotional webpage for its Meetups, Nutro also mentions its Facebook fan page however, I see no mention of the Meetup there.